Peter Philips summered on China Lake, Maine as a child. 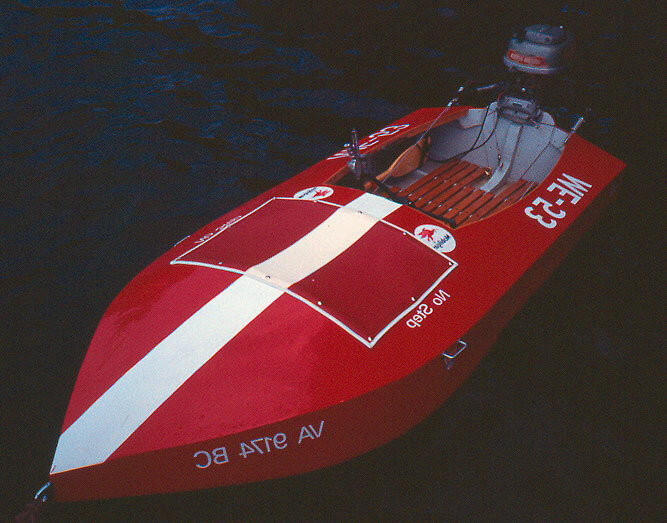 His cousins Sherman and Ray Kelsey owned this Jacoby Class step hydroplane (9' x 46"), which Peter has recently rebuilt. Named ME-53, she was relaunched in June 2004 after 6 years of restoration work. 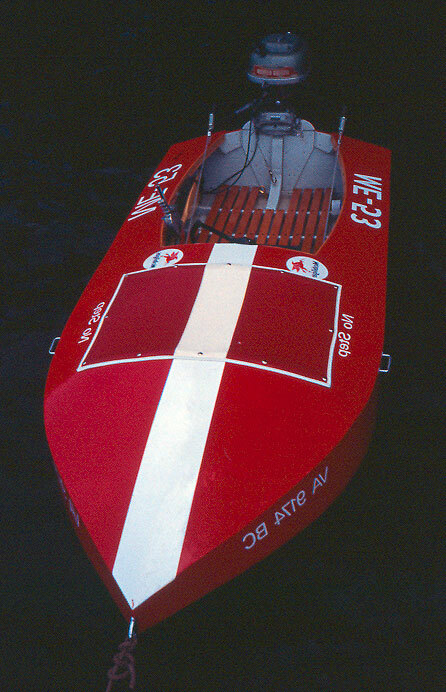 He replaced the carlins, decking, sides, aft keel, and one knee as well as sistering six frames. He writes "This is a rare boat that was thought to be cottage raced before and immediately after WW2. Step hydroplanes were obsolete by the end of the war and few survive. ME-53 has provided untold enjoyment to several generations of eager kids; I was once one of them." Contact Peter as pkphilips@comcast.net.